Cape Town (12 February 2018) – Today, Zeitz Museum of Contemporary Art Africa (Zeitz MOCAA) announces a line-up of programming to be held at the museum during Investec Cape Town Art Fair. From Tuesday, 13 February 2018 to Sunday, 18 February 2018, visitors to the Art Fair can enjoy diverse programming at Zeitz MOCAA, including a VIP preview of the new exhibition, Penny Siopis, This is a True Story: Six Films (1997-2017). 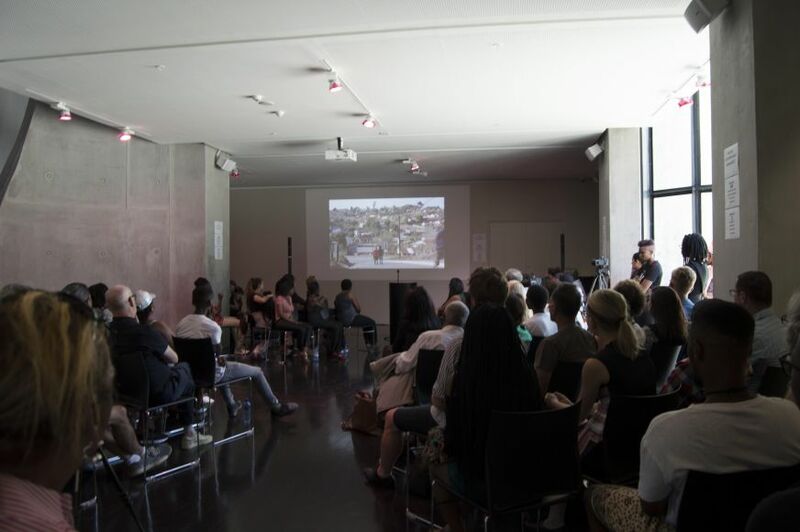 As part of its mission to provide educational and enrichment programmes for all, and to encourage intercultural understanding, Zeitz MOCAA will be hosting tours and events with artists, have extended opening hours, and offer free entrance opportunities as part of the museum’s Access for All programme. “We are honoured and excited to be able to contribute to the vibrant art scene of Cape Town and help develop a healthy and collaborative art ecosystem in our city through hundreds of programmes and events at the museum each month,” says Mark Coetzee, Executive Director and Chief Curator of Zeitz MOCAA. The free programming will take place in the Scheryn Collection Arena on Level 0 (ground floor) of Zeitz MOCAA while tours will start at 10:30 am, 1 pm and 3 pm daily in the BMW Atrium bowl, Level -1. Additionally, citizens of African countries are encouraged to visit on Africa Day, Wednesday 14 February, when admission is free on presentation of an official citizen document (identity document, passport or driver’s licence). Under-18s have free entry to the museum all year round. For the full list and more information on the programming taking place during Investec Cape Town Art Fair, please download the PDF below.